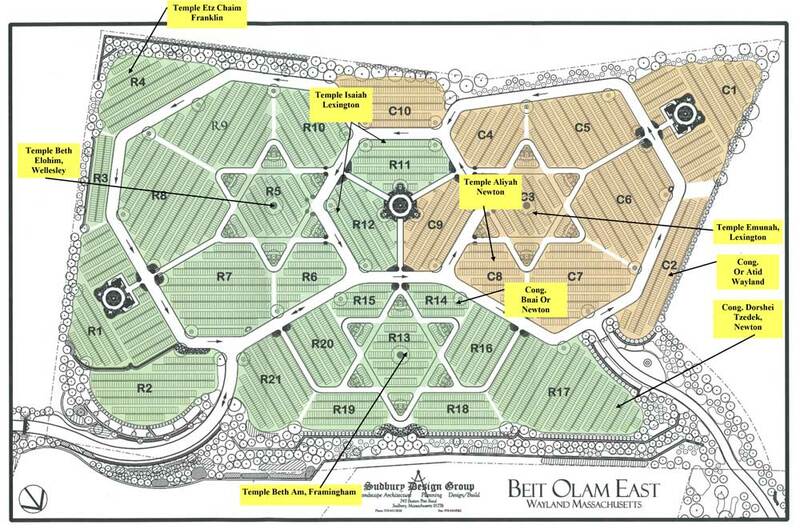 The Beit Olam East Cemetery in Wayland, MA was consecrated in late 2010 and provides 7,200 grave sites for both Reform and Conservative families. About 1,000 sites within the three 'Star-of-David' sections (R-5, R-13, and C-3) have been reserved for specific area synagogues. Other synagogues have reserved rows within various sections as well (as shown on map). The cemetery has two main areas: Conservative per Jewish law/customs and Reform/Interfaith. JCAM is pleased to help you find suitable grave sites for yourself and/or your family. Financing is available. 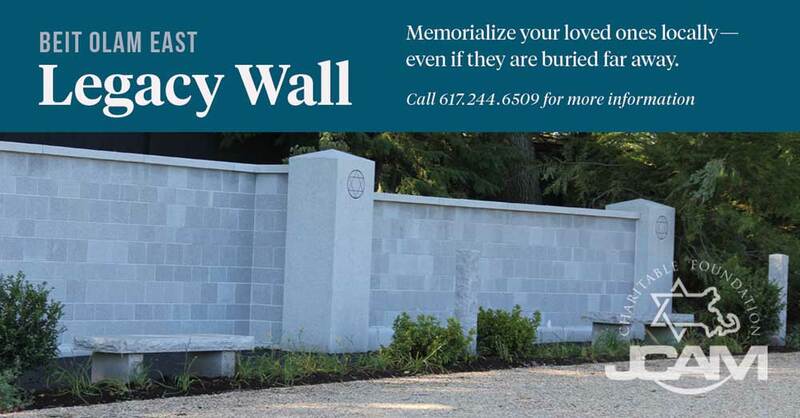 It also features a new affordable Legacy Wall memorial in granite stretching 120-foot wall along the western hillside. This unique special option was developed by JCAM for honoring family members who are not buried locally, or a remembrance for a family member lost in the Holocaust. Contact our office for details. All inquiries should be made to Lisa Berenson at 617-244-6509, ext. 102.